I'm new to using an SSD and I purchased the Samsung 840 Pro 256GB SSD. I have the drive hooked up to the proper SATA ports, however I am getting half the advertised speeds for Random Read/Write. Sequential Read/Write speeds are fine. I was wondering if this is normal? If not, what could be causing this and how could I go about solving the issue? The only benchmark you posted that measures IO is the Samsung Magician and I'm not sure how well it does that. You may want to use another program to try out random IO. While 60k IO is good, it is well below the advertised rate. 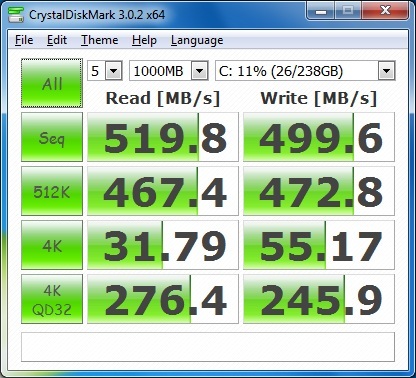 At least you sequential is maxing out the SATA3 connection. 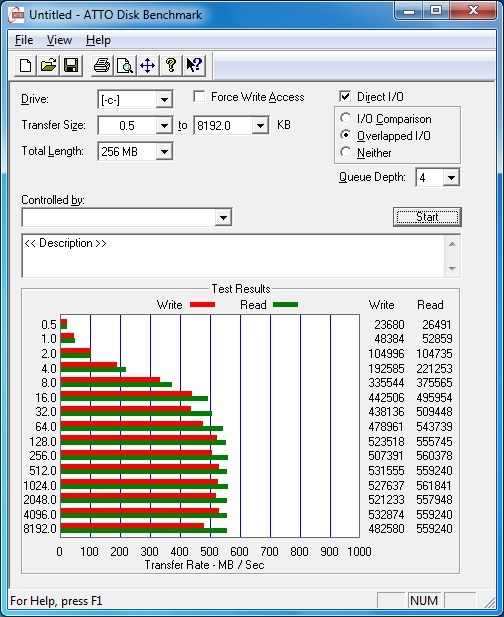 I believe that the AS SSD Benchmark does Sequential at the first test, and the rest are Random, however I may be wrong. I'm trying to find other benchmarking software but the ones I used seem to be the ones everyone recommends. Just an edit: I've found 3 other benchmarking softwares that I'm going to try out. I'll post results shortly. 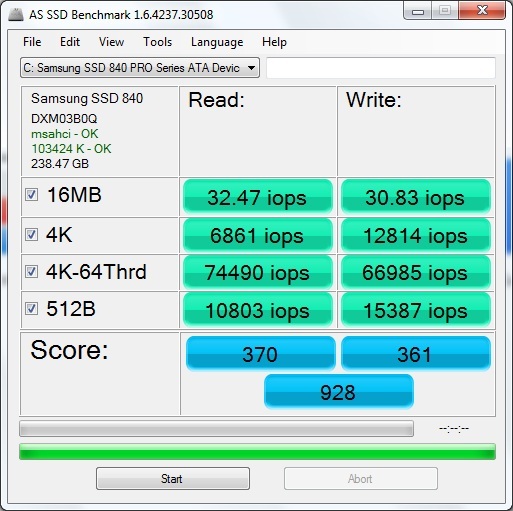 While this is better than the Samsung Magician, it's still below the advertised IOPS. Firmware is also up-to-date. If not, what could be causing this and how could I go about solving the issue? It's possible that write caching is not properly enabled. 1.) Go to Device Manager in Windows. 2.) Right-click on your drive and select Properties. 3.) Click on the Policies tab. 4.) 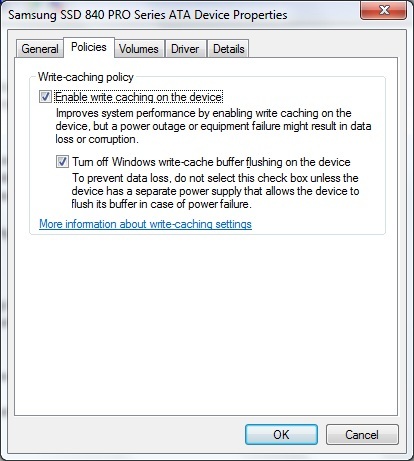 If "Enable write caching on the device" is checked then un-check it, click ok, re-check it, click ok. 5.) 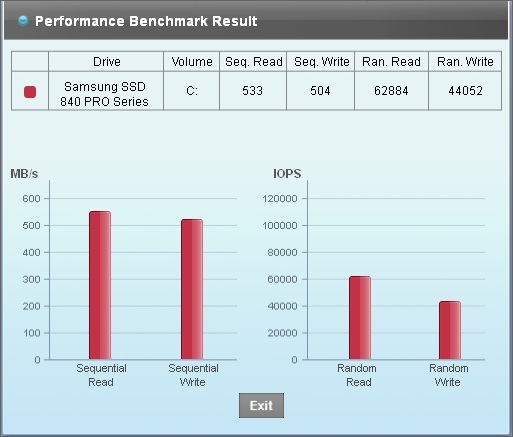 Run AS-SSD again and see if that helps. Getting better, almost there. I followed the tweaking guide I found here on Tom's Hardware as well and it gained some performance. Still isn't quite at advertised IOPS yet though. I'll do some more reading to see what I can find but if you guys have any advice or suggestions it would be greatly appreciated. 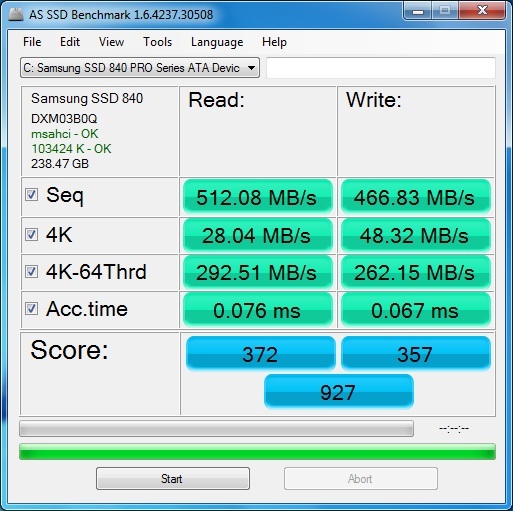 [SOLVED] Samsung PM981 SSD reliability?